I was searching for a photo of something else, and came across one of these pictures of “hats.” And then I found another, and another. Apparently, we have a “thing” for hats. In Spanish, I’m a gato in a sombrero,” sang Dr. Seuss’s Cat in the Hat. 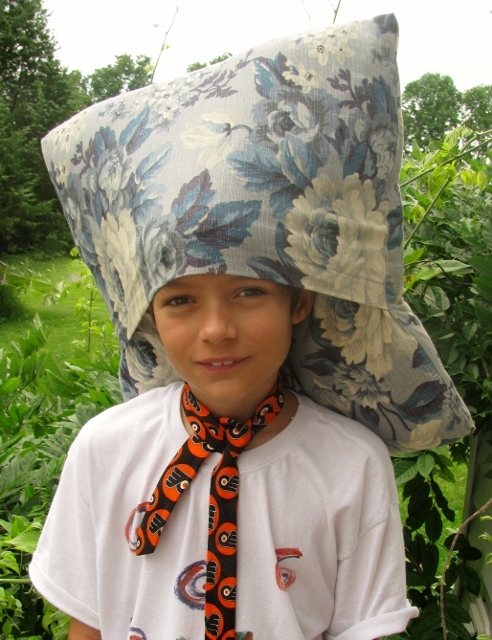 An over-sized mortarboard made from a pillow. Wear this to guarantee that you will be noticed at graduation, with added cushioning should you fall over at a graduation party and land on your head. Is that a rag hat? A hat band? A head band? A bandeau? A turban? The sleeve cut off of one of MacGyver’s old shirts? 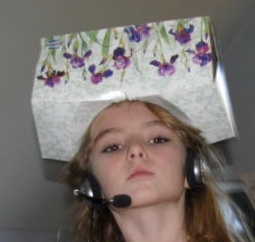 Here, we have the classic Tissue Box Hat (not to be confused with the hat box), worn over a headset. A very cool cat in a hat. 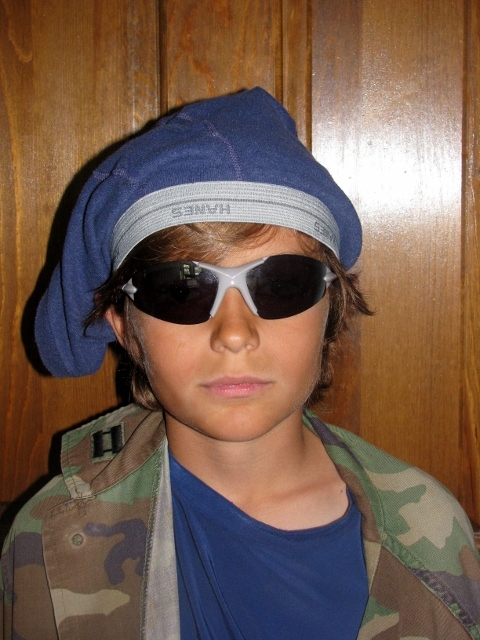 The Underwear Hat. It’s clean. And it looks great with sunglasses. Finally, the Bag-of-Frozen-Meatballs Hat. Perhaps I put it on her head to cool her off as she looks a bit angry? Let’s call this one the Mad Hatter. I think we can compete with Princess Beatrice for the top hat! No, don’t ask me why. I am their mother and I have no earthly idea why those things are on their heads. And I took the pictures. A few of the wardrobe pieces in the photos, such as the Philadelphia Flyers necktie and the headband-that-could-be-a-sleeve, are a mystery to me. I have no recollection of their origin, their existence, or their demise, but they are no longer with us. What else goes on around here when I am not paying attention? If you’re looking for us, we’ll be out back doing the Mexican Hat Dance. ¡Olé! Have a happy hatty day! Princess Beatrice’s hat … wins first price for the worst hat. *Laughter Underware hat .. have my vote for best in show. Yes, I thought Princes Bea’s hat was silly. 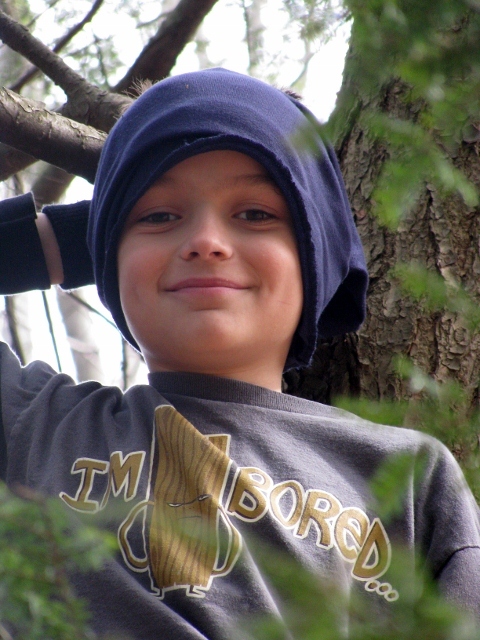 Like an underwear hat. Silly. Merci! LOL. Your daughter could be a shoe-in (hey! try a shoebox hat) for Eloise. “Kleenex makes a very good hat.”. Thank you, Ms. Bliss. I didn’t think of that one. Kleenex makes a very good hat! I believe Eloise thought that an egg cup makes a very good hat, too. And, believe it or not, I do have a picture of her with a shoe box on her head, but I thought one hat box or box hat would be enough for this post. Thanks for stopping by again. Merci! Thanks. We think they’re kind of cute too. I think we’ll keep them. Enjoy your evening! Merci! 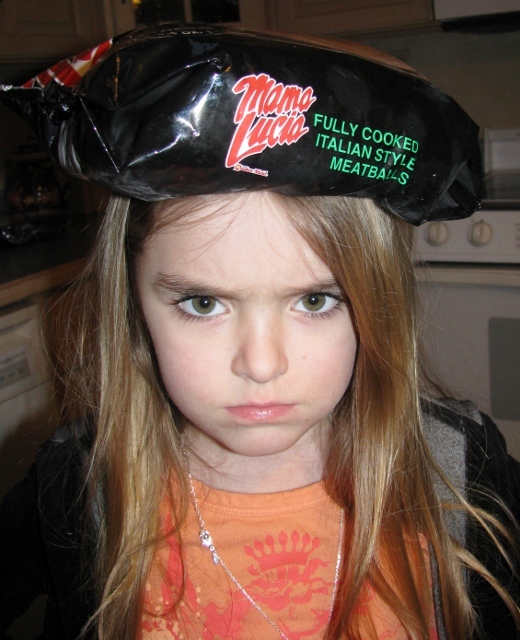 I was going to comment on the sweet acquiescence of your children till I came to your Bag of Frozen Meatballs hat – oh dear, I guess the fun turned cold all of a sudden!